A recent report authored by Dr Philip Riley at the Australian Catholic University revealed that principals are unable to cope with escalating workloads, leading to health problems such as sleeplessness, anxiety and burnout. PAI CEO, Jim Davies, said that in order to prevent such issues from developing it is important that principals first be proactive about their health. While that advice might sound like simple common sense, Davies pointed to some underlying self-management tips that some principals tend to overlook, including distinguishing between leadership and management. “It really is important to find ways to address the basics – eating healthy, staying fit, managing stress and keeping a sound work-life balance,” Davies told The Educator. Davies added that an “emerging emphasis” on providing principals with greater autonomy will lead to better support mechanisms from within schools rather than principals having to seek external support. The PAI runs a number of programs aimed at supporting well-being for principals, including workOn, which aims to help principals and school leaders build strategies to support their well-being as well as that of their colleagues. 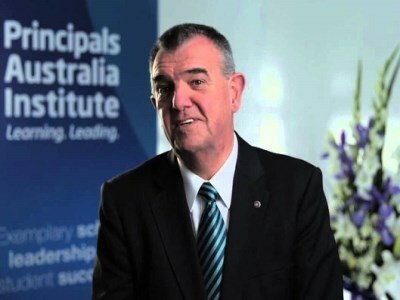 “I think we’re well aware that this issue needs attention in the education sector,” Davies said, adding that the focus needs to be on putting strategies in place to support school leaders and “empowering principals to look after themselves”. “The key to this issue is keeping what’s important at the heart of your work day,” Davies said. “Remembering – every day – that the reason we’re in this profession is for the benefit of young people.